Sunday’s episode of Bigg Boss 12 was a big tear-jerker. The contestants got emotional with the arrival of their family members in the Bigg Boss house. The episode began with Surbhi Rana’s brother Abhinav’s entry. While she was in the ‘pause’ mode as per Bigg Boss’ orders, Abhinav gave her a hug and told her she is doing well on the show. He then went to each contestant and told them to forgive his sister if she gets loud or rude at times. Next up was S Sreesanth’s wife Bhuwaneshwari. She told Sreesanth to not take important decisions in an emotional state. While she called Dipika pretty, she wasn’t too kind with Surbhi. She called her ungrateful and even said that her behaviour was disappointing. Sreesanth later apologized to Surbhi on the behalf of his wife. 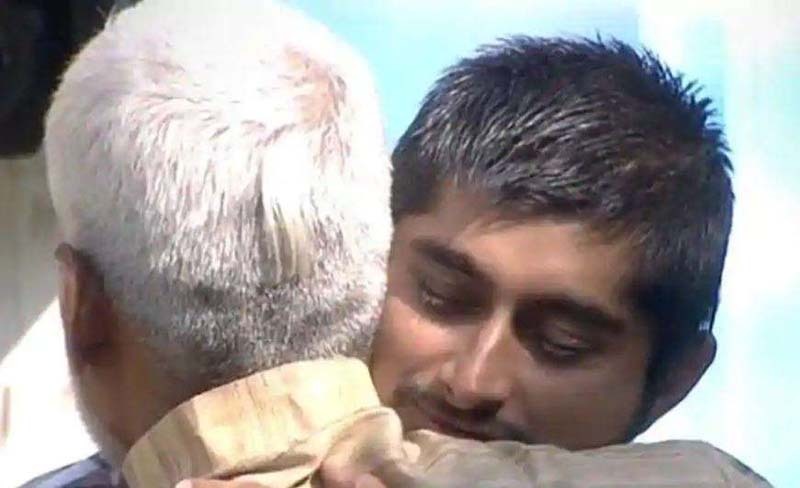 Deepak Thakur’s father also entered the house and gave his son a long and emotional hug. He told Deepak that he was making him proud and even mentioned how he had bought a new pair of shoes to meet him on the show. When he met Somi Khan, he told her that she is a good friend to his son but ‘byaah nahi hoga (they can’t get married).’ While Somi laughed about it, Deepak seemed a little sad about his father’s words. Rohit Suchanti’s mother also visited the house and broke down while hugging her son. Rohit made her meet everyone; she told Romil Chaudhary and Sreesanth to not fight with him. The last family to enter the house was Karanvir Bohra’s wife Teejay, who came with their twin daughters. Karanvir couldn’t control his tears on seeing them. The daughters met every contestant and began crying when it was time to leave their father.